Russian auxiliary cargo ship Vologda-50 making a northbound passage. She is empty. Photo: Alper Böler. 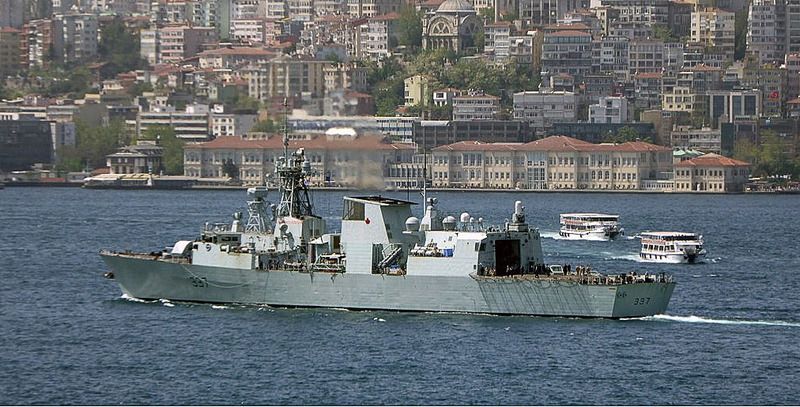 Canadian frigate HMCS Frederection leaves the Black Sea. She spend all her 21 days allocated by Montreux Convention in the region. Photo: Alper Böler. Romanian frigate Regina Maria returning to the Black Sea just after 3 days. Photo: Yörük Işık. Russian landing ship Tsezar Kunikov returning empty from her Syrian deployment. 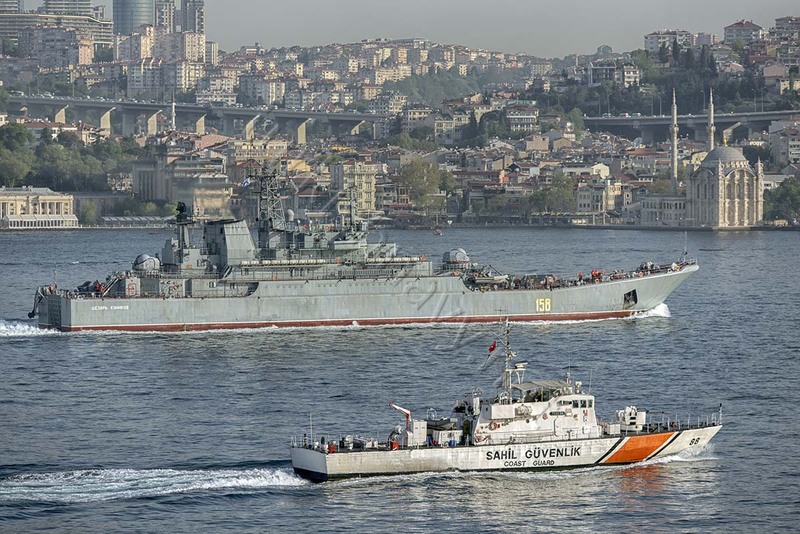 Turkish Coast Guard and maritime section of Istanbul Police Department is escorting her, as they do to all Russian ships recently. Fully loaded, Russian landing ship Minsk making a southbound passage through Istanbul Strait. Photo: Yörük Işık. 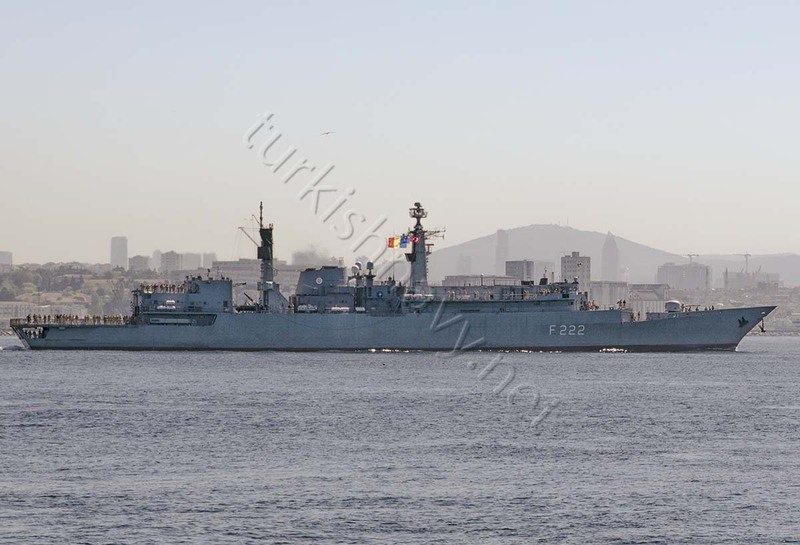 Romanian frigate Regina Maria making a rare southbound passage through Istanbul. The reason of her deployment is not know. 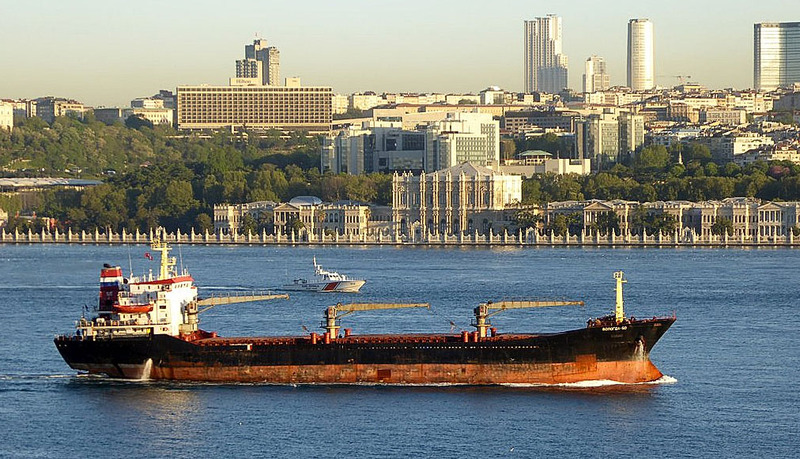 Russian landing ship Saratov, loaded with trucks is heading to Syria. Photo: Yörük Işık. 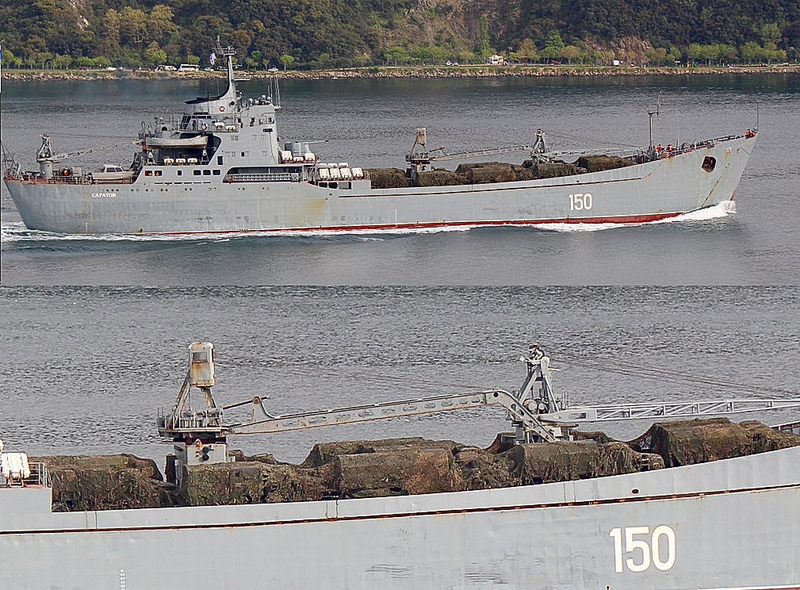 Russian corvette Zeleny Dol returned to the Black Sea. She was deployed to Syria on 14 February 2016. She was relived by her sister Serpukhov. Photo: Serhat Güvenç.